Vitamin D, a critical element in bone growth and maintenance, also offers protection against many different diseases. Vitamin D is critical for calcium absorption and plays an important role in the prevention of osteoporosis. It is also involved in immune function and inflammation reduction. Supplementation with calcium and vitamin D reduces the risk of bone loss and fractures among older people. Vitamin D also has a protective effect against colon cancer, and possibly cancers of the breast and prostate as well. In addition, there is a growing body of evidence suggesting that vitamin D may help to prevent diabetes, autoimmune diseases such as multiple sclerosis, periodontal (gum) disease, high blood pressure, and heart disease. A vitamin D deficiency in children can cause a bone disease called rickets, and vitamin D-deficient adults can develop osteomalacia, which results in weak bones and muscles. Muscle weakness and pain in the bones or joints may indicate inadequate vitamin D intake. 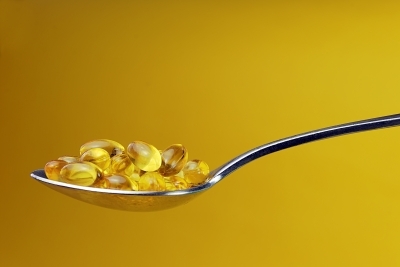 The best food sources of vitamin D are seafood and fish liver oils. The only vegetables that naturally contain vitamin D are mushrooms. Foods that are commonly fortified with vitamin D include milk and many breakfast cereals. For those who can’t obtain sufficient vitamin D through food sources, there are two options: sunshine and supplements. Cloud cover, shade, and pollution-induced smog can reduce UV energy by 50-60%. Sunscreen blocks UV rays (though most people don’t apply enough or miss a few spots, letting the sunshine in). In many places, UV energy is not sufficient for the synthesis of vitamin D year-round. In Canada, sunlight doesn’t provide adequate vitamin D from October to March. Only at latitudes below 34 degrees north can vitamin D be obtained via sunlight throughout the year. To obtain vitamin D through sunshine, the sun must reach some uncovered skin – having the sun shine on your face and arms is sufficient. It’s not necessary to lie outside in a bikini or a pair of shorts to obtain the benefits of sunshine. Moderate use of tanning beds can also induce vitamin D synthesis, as long as they emit 2% to 6% UVB radiation, but given the risk of skin cancer, many people prefer not to expose their skin to outdoor sun or tanning bed rays. Unfortunately, it’s not possible to obtain vitamin D via sunlight shining through a window, as UVB radiation doesn’t penetrate glass. Those who don’t eat enough vitamin D-rich foods and avoid sun exposure may require supplementation. Babies who are breast-fed by vitamin D-deficient mothers are also at risk. Vitamin D can be toxic in high doses. While it’s not possible to overdose on vitamin D via sun exposure, excessive supplementation poses a risk, and vitamin D may also interfere with certain medications. Consulting a doctor before taking supplements is recommended, particularly for those who suffer from medical conditions and take medications. For more on supplements, see the main Supplements page. For a full list of health articles, see the main Mind/Body Health page. This article is not intended as a substitute for medical consultation or care. Health concerns should be referred to a qualified medical practitioner. George Mateljan Foundation. (2009). “Vitamin D.” The World’s Healthiest Foods, WHFoods.com. Health Canada. (2007). “Vitamin D for People Over 50: Background.” HC-SC.gc.ca. Hiller, S. (3 August 2009). “Avoid Osteoporosis the Natural Way – Natural Protection for Your Bones.” The Mayo News. MayoNews.ie. Mushrooms Canada. (n.d.). “Vitamin D.” Mushrooms.ca. National Institutes of Health – Office of Dietary Supplements. (2011). “Dietary Supplement Fact Sheet: Vitamin D.” Dietary-Supplements.info.nih.gov. University of Maryland Medical Center. (2009). “Osteoporosis.” UMM.edu.